Bharat Electronics Limited released the latest employment notification such as BEL Recruitment 2018. The candidates who are seeking for the Government Jobs can apply for the BEL vacancies. Every year the BEL releases the notification to fill the vacant positions in the organization through GATE 2018. And the company offers several career opportunities through Bharat Electronics Limited Jobs for the candidates who had completed their Graduation and Postgraduation. 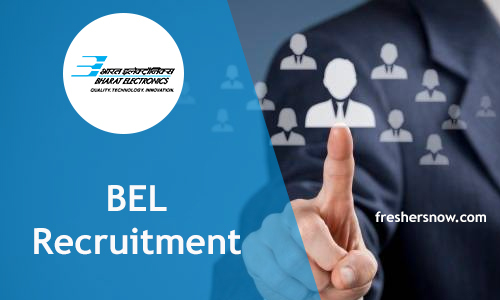 So to help the candidates we are providing the complete details such as BEL Selection Process, BEL Recruitment Age Criteria, Education Qualification, Steps to Apply for the BEL Recruitment 2018 in the consecutive section. As the competition for the Government Jobs is in peaks. So the candidates have to apply for the BEL Recruitment 2018 on the given dates. Before going through the application process the aspirants have to know the eligibility criteria. The candidate’s qualification should be BE/B.Tech in Electronics/Electronics and Communication/ Electronics and Telecommunications/ Telecommunication/ Communication/ Mechanical Engineering from recognized University/ Institute. The aspirant should have 60% of aggregate marks in the academics. Aspirants belonging to any other branch of the Engineering their applications will not be considered. For more details about the BEL 2018 Recruitment, the candidates can scroll down this page. Contenders who are applying for the BEL Careers for freshers have to meet the age criteria as mentioned by the officials of the organization. Candidates upper age should be 28 years for the General, 28 years for OBC, 30 years for SC/ ST and for the PWD candidates 10 years in addition to the above age limit for the relevant category. Generally, the age limit will vary from position to the position. As of now, there is a large number of employees working in the BEL. So the candidates who want to become a part of the company have to apply for the BEL Recruitment 2018. On our website, we provide you the date of receiving the applications and final date. So the contenders who are eagerly waiting for the recruitment can apply for the vacancies before the last date. All the aspirants have to check the eligibility criteria before going to the application process. If they are suitable for the BEL Jobs 2018 have to apply in the Online mode only. This BEL Recruitment 2018 is for the fresher’s candidates those who are trying to make their future bright in the Government Sector. For the applicants, the officials conduct the recruitment rounds to check the knowledge of the candidates. Selection will be done through the written test and the qualified aspirants will be called for the Interview Process. The aspirants who are meeting with the criteria can apply for the Bharat Electronics Limited Jobs. In the above table, we provided all the BEL Job Openings in a clear manner. The contenders will allow giving the test only if they fulfill the Qualification & Age as mentioned in the notification. To perform well in the BEL Exam 2018 the candidates have to prepare well. To guide the candidates in their preparation we are providing the BEL Syllabus 2018 and BEL Previous Year Questions Papers on our website. Our request to the candidates use the stuff and make your preparation in an effective manner. Contenders who are applying should complete BE/B.Tech in Electronics/Electronics and Communication/ Electronics and Telecommunications/ Telecommunication/ Electronic Engineering/ Communication/ Mechanical Engineering/ Telecommunication Engineering from recognized University or Institute. For more detailed information the aspirants can visit the official notification. The minimum age limit for the candidate to apply for the BEL Career is 21 years and the Maximum age limit vary from position to the position. Age Relaxation will be as per the guidelines of the Government. As per the rule of the organization, the candidates who had applied have to face various rounds of the selection process. Written Test (Objective Type Questions) and followed by the Personal Interview. Only the candidates who are shortlisted in the written test will be called for the Personal Interview. The selected candidates can get the salary as per the norms of the organization. The salary is different from one role to another. Contenders can check the official BEL 2018 Recruitment Notification for the fee details. First, visit the official website of the Bharat Electronics Limited that is bel-india.in. Hit on the “Recruitment-Advertisement” link. A page will appear with the latest notifications. Choose the positions as per your interest and click on the Apply link. Take the application form print for future use. We hope the aspirants are satisfied with the details about the BEL Recruitment 2018. For the latest job openings, the candidates can visit this page www.freshersnow.com. Time to time we update the latest BEL Job Openings 2018 in this article.